By Kate Dagli in Toolkit. Updated on August 3, 2018 . When you take on web design projects, do you think twice about the tools that help you build websites for your clients? In 2015, freedom looks like a lot of choices. Regardless of your personal working habits, it’s always in your best interest to secure the most useful platforms and tools on the market. To help you with this, we have rounded up several cloud-based website builders and page-building plugins for WordPress. Have a look at the list below and decide which of them is most likely to suit your needs. 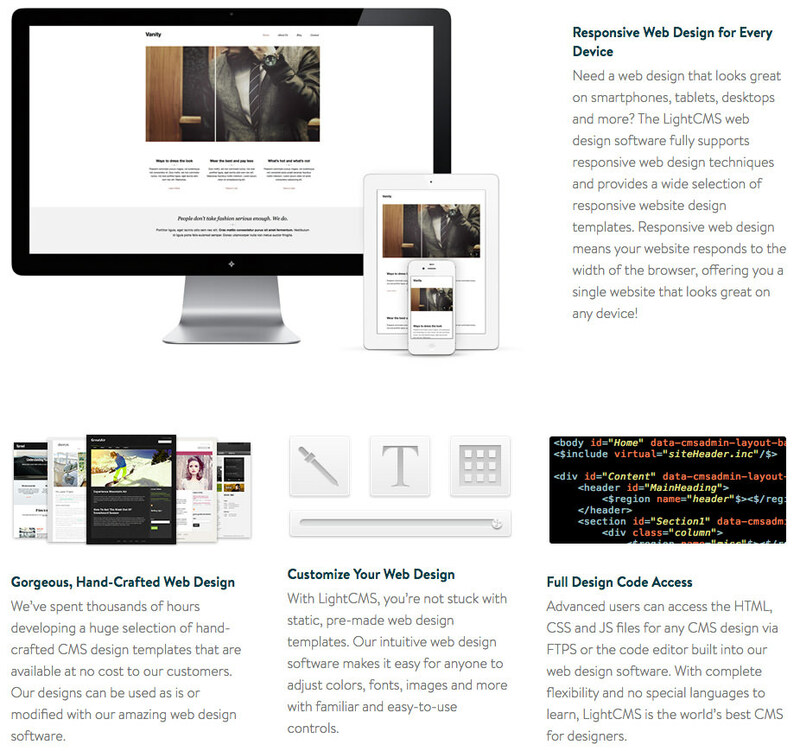 Looking to build and manage code-free, pixel-perfect responsive websites for your clients or yourself? Join Webydo to start designing on the cloud-based studio from scratch or with a template or preset layout. Its parallax srolling animater will also allow you to add captivating motion paths to elements to help visually captivate your audience. Joining Webydo, you will be come part of an active community of 125,000 freelance designers, agencies and studios. 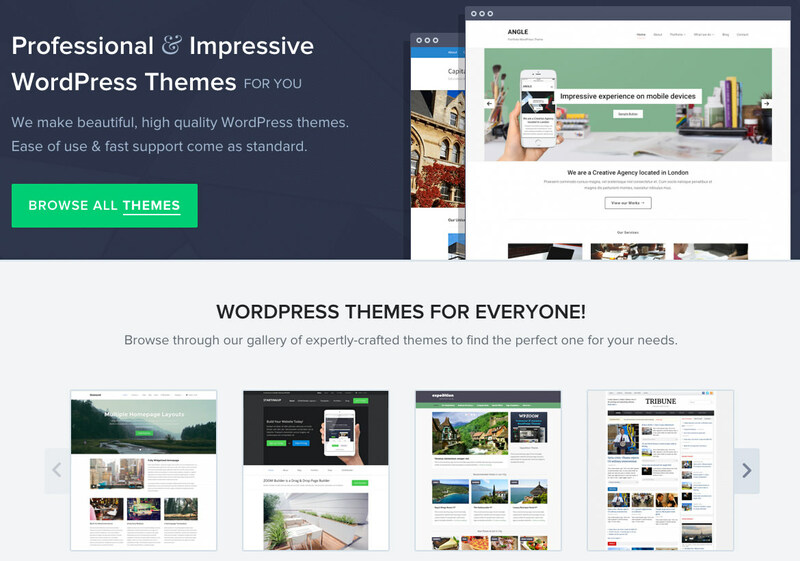 If you have come across Visual Composer on many premium themes, it’s probably because at only $28 a piece, Visual Composer can truly revolutionize the WordPress editor. No more constructing sophisticated layouts via shortcodes, just drag and drop any of the 40 or more elements where you want them to go straight from the frontend, and publish your site. So your site is done but your client isn’t happy and is itching for a redesign. If you are thinking about quitting on your current theme, hold your horses. Ever heard of tile or card design? 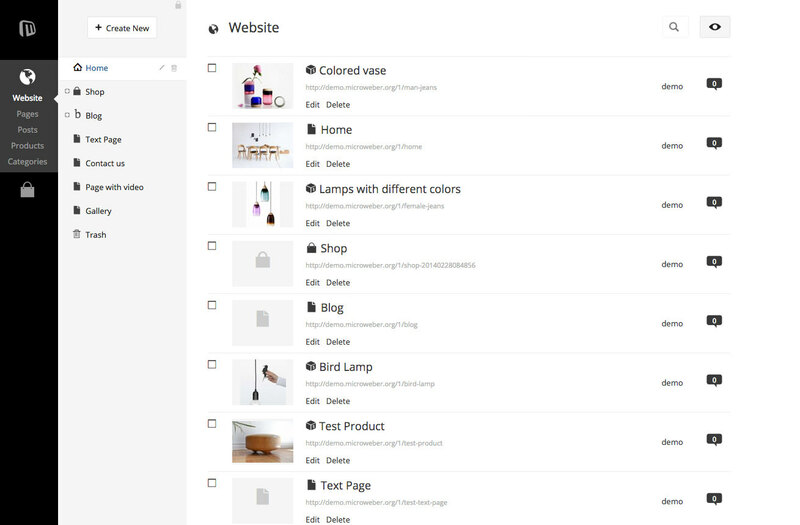 Designmodo has a page-building plugin that is based on the concept where you just slide cards in place, tweak your content with a simple in-line editor and keep on rocking your design. Best of all, it works for you even if you aren’t a fan of codes. 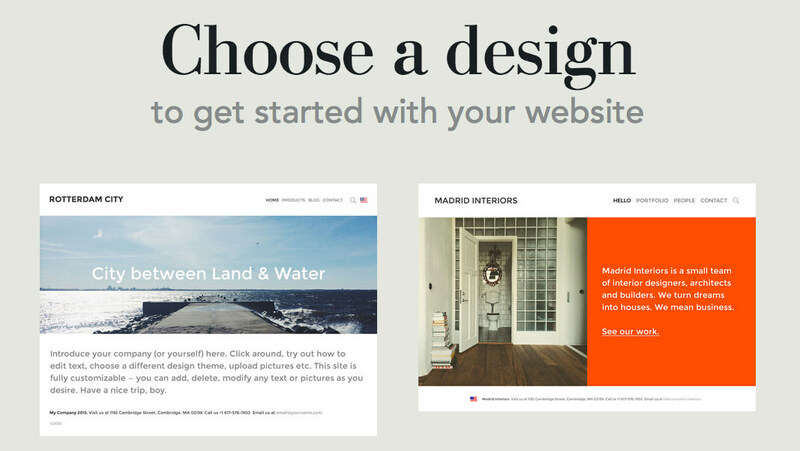 Want to be able to choose from over 100 switchable themes when creating your websites? As a last-minute solution, you might find ready-to-start templates very attractive. Use Pikock, and again you won’t have to touch a single line of code. You can even create a one-page website for less than $2. There is no harm in trying the 30-day free trial before signing up. Do you know that guilty feeling when you’re scouting for some gorgeous templates to jump-start your creative process? We’ve all been there, though not everyone cares to admit it. Voog, or formerly known as Edicy, has all the inspiration that you need. And you can save up to 28% with an upfront year-long payment. 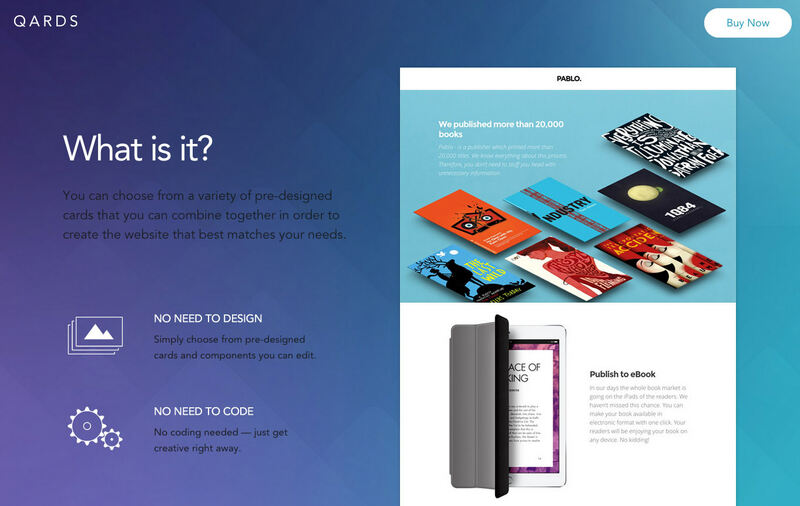 While we’re on the subject of stunning templates and incredible ease of use, one of our favorite website builders is IM Creator. 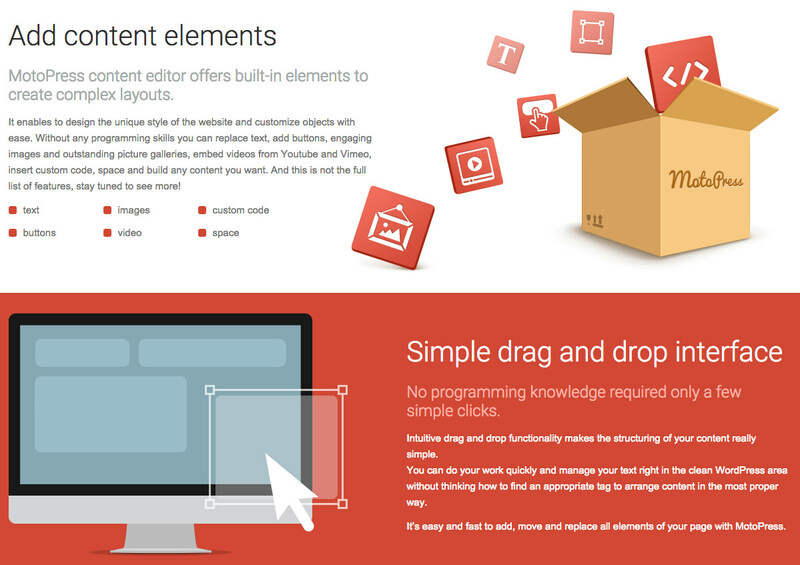 It has a stash of nice-looking templates that are organized by category. This doesn’t mean that you can’t work on a blank canvas if you already have a clear idea of what you want to accomplish. The browser-based studio is very straightforward. You can even test it out without signing up first before deciding. 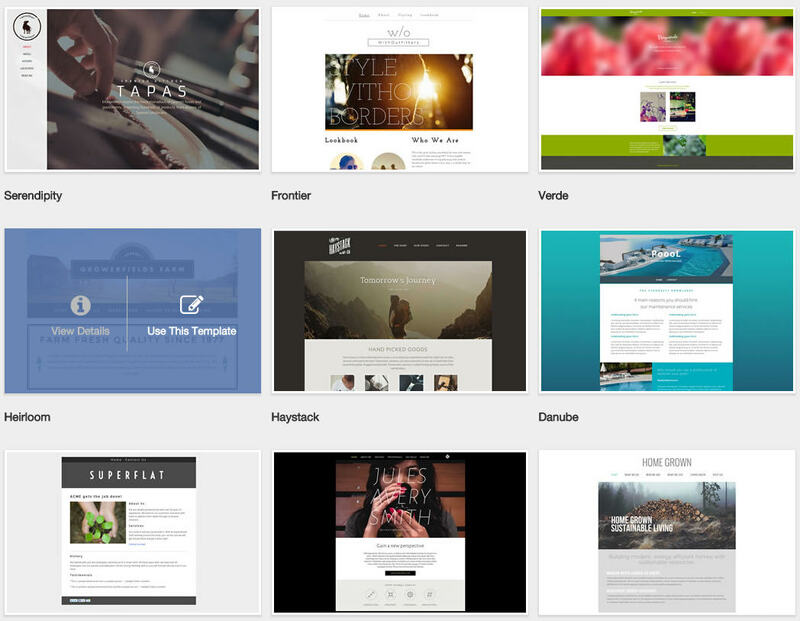 2015 may be the year when you create an amazing design portfolio for yourself. I’m not saying that your professional experience isn’t already impressive, but this year you should showcase it using a brand-wise builder for creatives. Seek out the platform All You, which rounds up more than 1000 optimized web fonts for your convenience. You’ll have a delightful and cross-device responsive portfolio website up in no time. 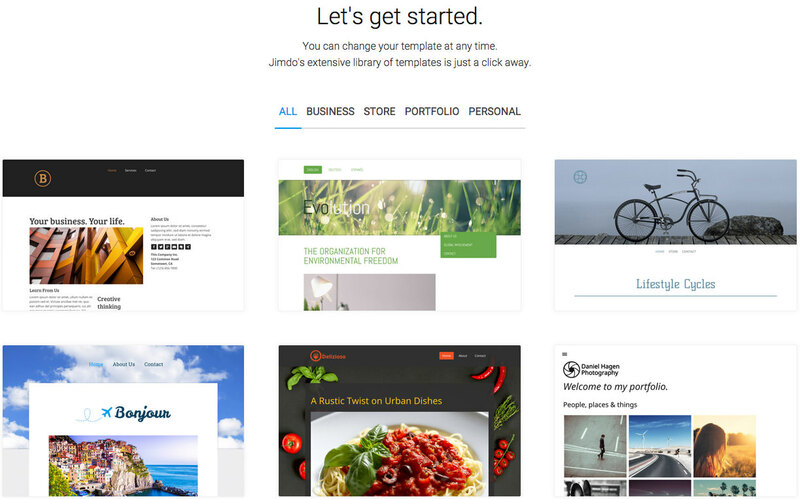 If you ever find yourself looking for highly approachable website builders, this year’s list continues with Jimdo. What we like most about Jimdo is the fact that it allows users to edit websites on the go. That’s because free apps for iOS and Android are part of the package. Add photos, text, galleries and even track site statistics via the mobile apps. Let’s veer back towards the world’s most popular CMS for a moment. When you base websites on WordPress, you definitely want to use a comfortable page builder. 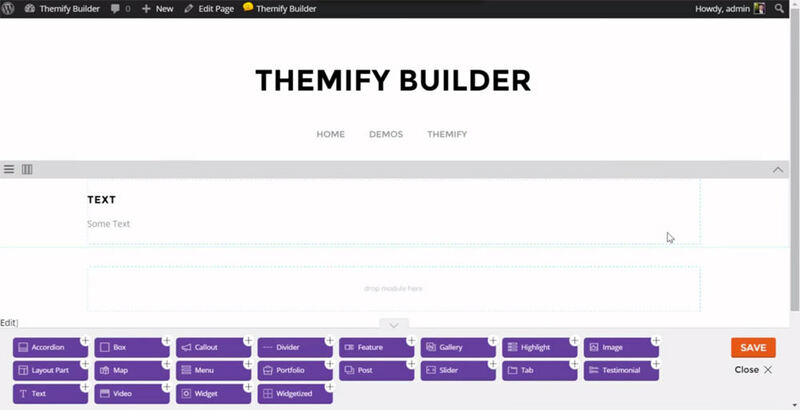 One such builder is native to all Themify themes, and yet it’s also up for sale as a standalone plugin: Themify Builder. 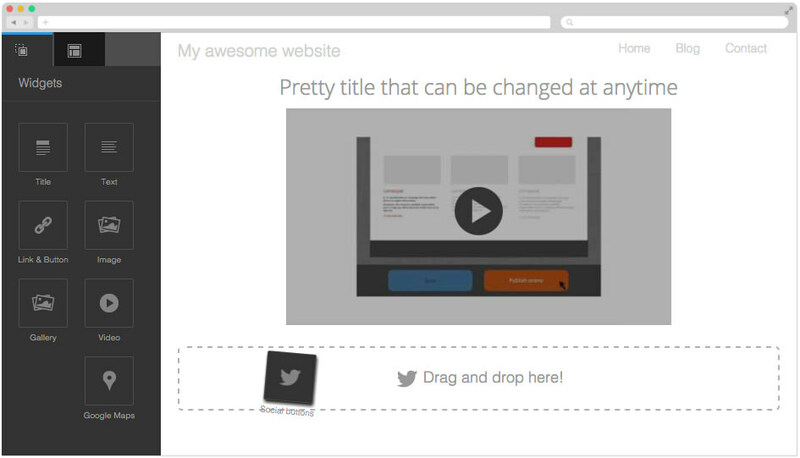 Use it with confidence if you fancy the module system for piecing a web a page together or changing it just as easily. 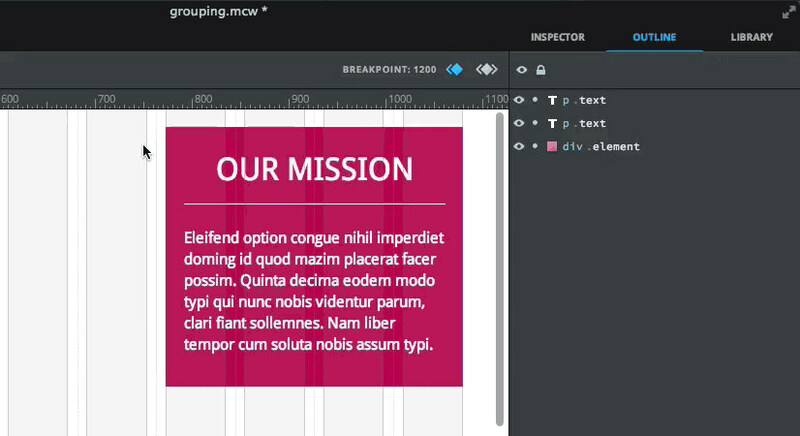 Looking for live preview editing? It’s no surprise that that feature is an industry standard now. With MotoPress, you get full view of your work during the editing process, long before it hits the site for your end users to see. With this plugin, you can throw in your shortcodes freely in the mix. It’s also child’s play to add videos and parallax scrolling backgrounds in with MotoPress Editor. Perhaps you’re interested in creating websites with a CMS other than WordPress. While there are plenty of alternatives out there, you should also look into Microweber. It’s fun to work with, and particularly suitable for eCommerce sites. Plus, you can also use Microweber to set up beautiful blog sites in a snap. The future belongs to website building platforms that inherit the same functionalities as our favorite image editor, Photoshop. Macaw is available on this premise. It never fails to provide clean code to support your website designs. Plus, it allows you to store elements in your library and reuse them on any page. Speaking of alternatives to WordPress, wouldn’t you like to do away with the dashboard, and manage your website content directly? If your answer is yes, then move forward with LightCMS. You’d be one more voice in the crowd of 275,000 users. Resellers also get 80% off the Unlimited Plan. Nowadays, most ads are being ignored by end users. We’re all accustomed to flashing ads, and automatically discarding them. The name for this pervasive effect is "banner blindness". 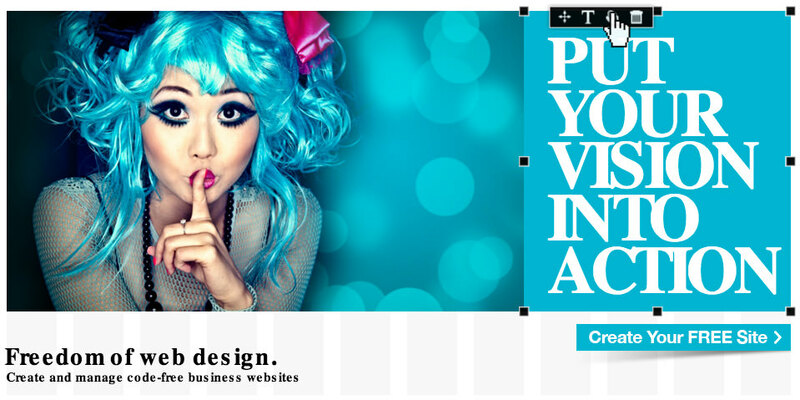 Unlike other website builders, Yola helps you build client websites that won’t suffer third-party advertisements. From a usability standpoint, this feature may be just the thing you are looking for. 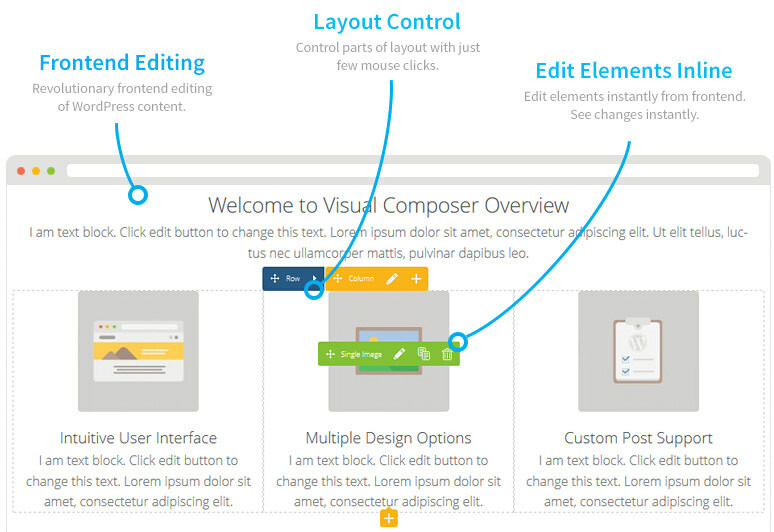 Here’s a handy layout builder for WordPress websites. 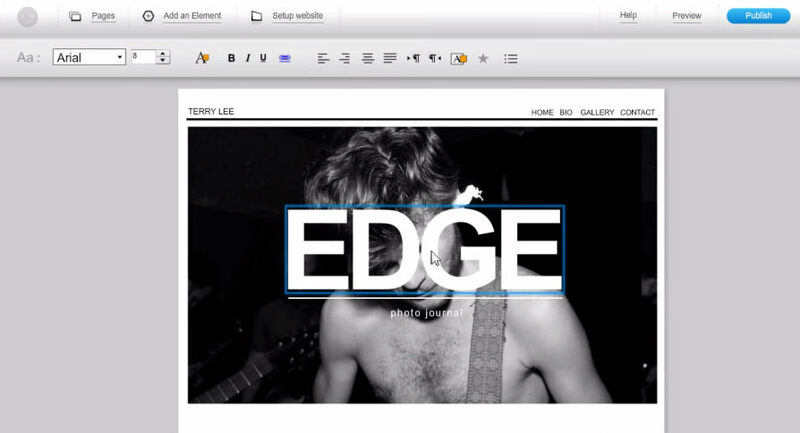 ZOOM Builder is essentially wired to function with any existing theme. You might also appreciate its compatibility with native WordPress widgets, as well as theme-specific widgets and plugins. Craft a page layout from scratch, or take your pick from 10 pre-set options. Editor’s note: This post is written byÃÂ Kate Dagli for Hongkiat.com. Kate enjoys writing roundups for web dev and technology websites. She is currently a staff member of the-webdesigner.co.